Pete Hypes and members on his church on mission. 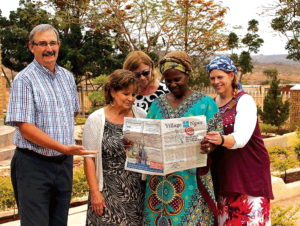 The Village News travel with Pete Hypes and members of Bermuda Baptist Church to South Africa on a mission trip. Pictured are Hypes, Vonnie Francis, Linda Uphoff, Anastasia Phetla, and Miki Burley.